Sound bars have always been an easy way to upgrade your TV’s audio. But these days they can do a whole lot more than just boost TV and movie sound. 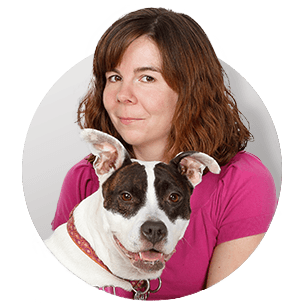 Want a little help wading through all the designs, features, and control options? 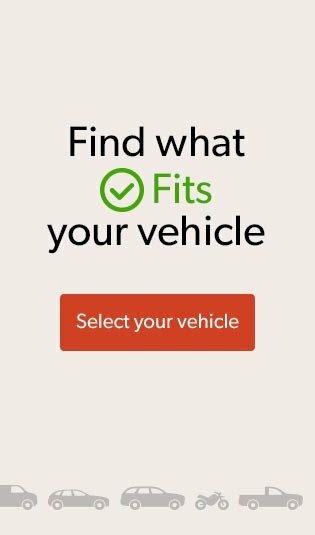 We’ll cover what's available to help you find the perfect fit. 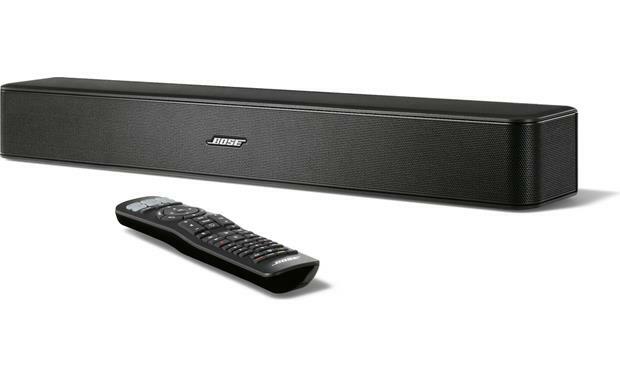 What type of sound bar is right for you? Sound bars vary wildly in price — from under $150 for a basic plug-and-play model to over $2,000 for a handcrafted work of art. You can narrow the field significantly by asking yourself a few questions. Are you looking for a full-on home theater experience, or do you just want to be able to hear the TV more clearly? 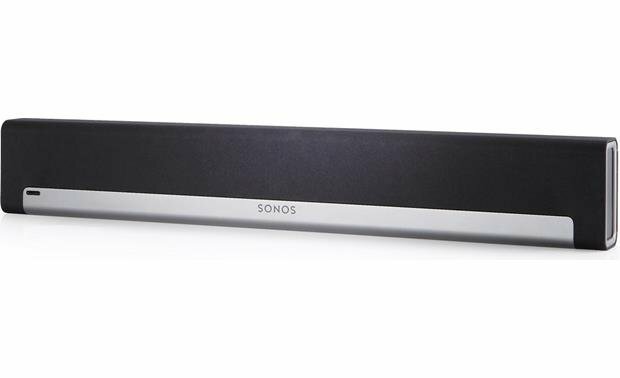 Will you be using your sound bar to play music? 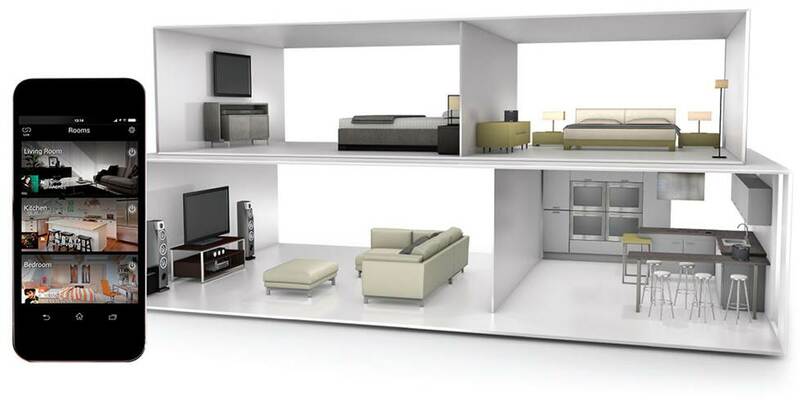 Would you like for it to be part of a multi-room audio system? Is voice control important to you? And a simple but vital question you need to answer — where is it going to go? Most bars have a low enough profile that they won’t block your TV (or your TV's remote sensor) when sitting on a stand, but always check the height to be sure. If you want to wall-mount your bar, make sure it has keyhole slots or optional brackets. Sound bars usually give you the option for wall-mounting with your TV, or they can simply be placed on a TV stand. Platform models sit under your TV. Do you struggle to understand dialogue? 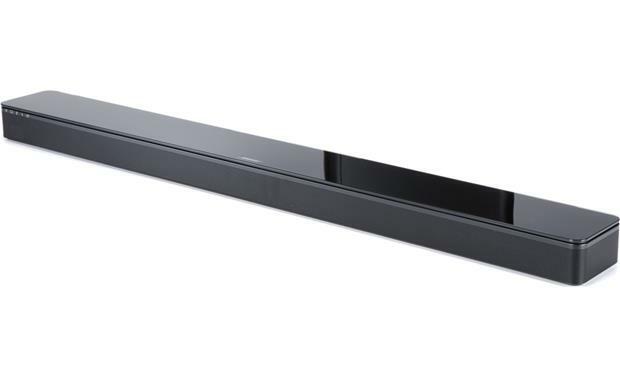 A sound bar will make your TV sound louder and fuller, so human voices will sound clearer too. But if you generally have trouble hearing dialogue over background sounds, look for a bar that offers dialogue enhancement. This makes voices louder and more prominent in the mix. ZVOX sound bars — like the AV200 Accuvoice — use circuitry similar to a hearing aid to enhance vocal clarity. 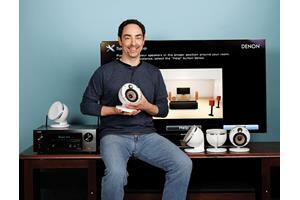 In the past, a surround sound setup at home required a receiver and at least five speakers. That’s still the optimal configuration for home theater, but a sound bar can be a great solution for those who don't have the space or inclination for that kind of setup. Sound bars can simulate surround sound using advanced digital sound processing to trick your ears into thinking there are speakers all around you. In a “true” surround sound system, the receiver decodes surround sound signals from movie and TV soundtracks and sends different sounds to each speaker in the system. Sound bars can also decode surround sound signals, but most are limited to 5.1-channel formats. And they distribute the sound differently. 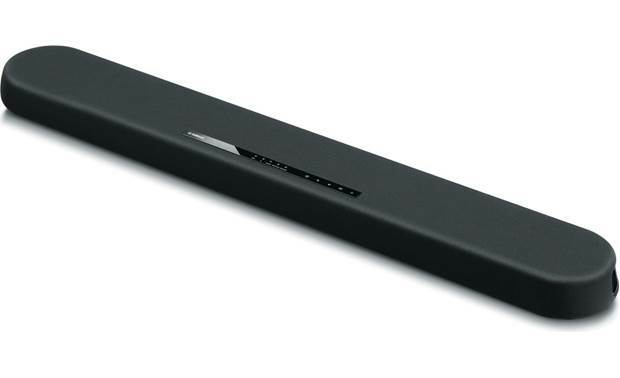 A sound bar might have anywhere from two to thirteen (or more!) small speakers — also called "drivers" — built into its cabinet. 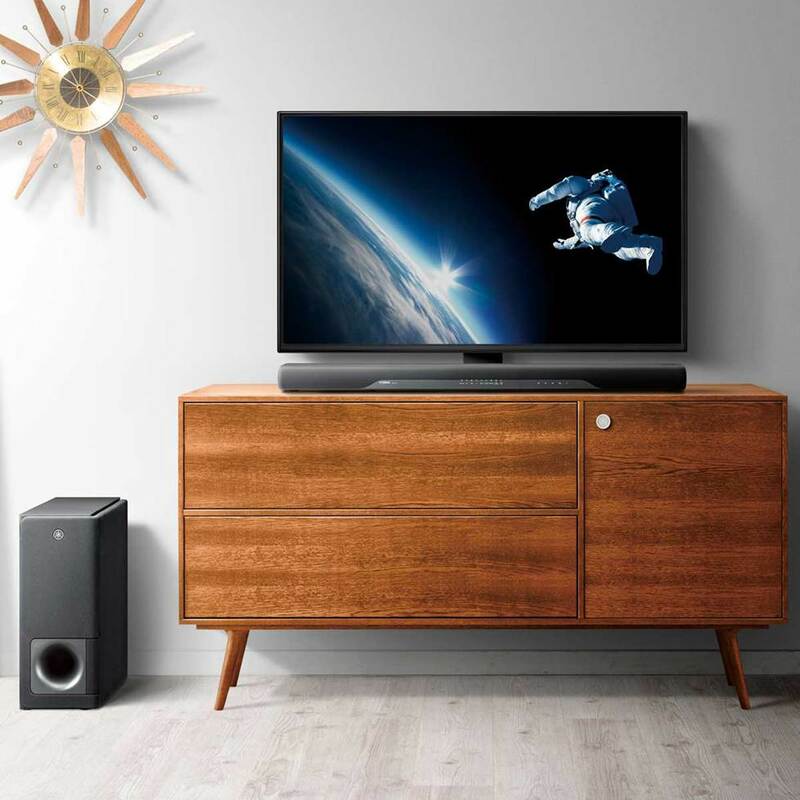 Instead of sending discrete sounds to five different speakers, a sound bar takes the surround sound signal and splits it up between its array of built-in drivers. Sound bars that can decode Dolby Atmos and DTS:X signals often have up-firing and side-firing drivers that reflect sound off your ceiling and walls to create a three-dimensional soundstage. Many sound bars include wireless rear speakers or the option to add them for discrete surround sound. If being totally immersed in your content it the goal, opt for a system that allows for such expansion. 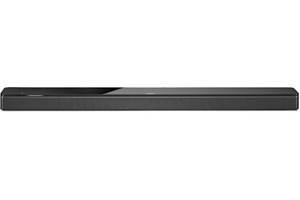 JBL's Bar 5.1 includes 100% wire-free rear speakers that recharge when attached to the sound bar. If you really want to get the most out of movies and music, choose a sound bar that includes a sub or gives you the option to add one. Most sound bars are too slim to reproduce lower-frequency sound, so in many cases a separate wireless subwoofer is included. You can place your sub almost anywhere near a wall outlet within wireless range of the bar. Alternatively, some sound bars have a subwoofer output. This is helpful if you already own (or have your eye on) a sub you love. 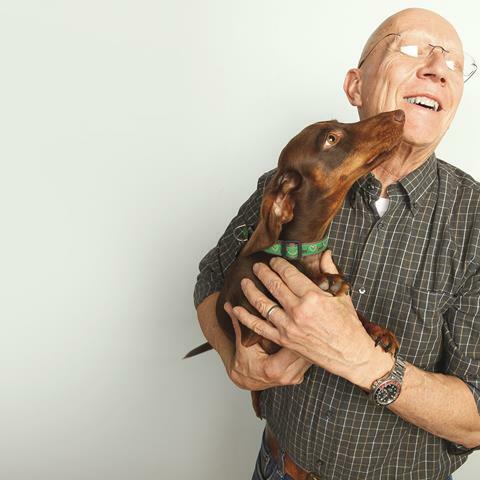 More interested in hearing dialogue than feeling the rumble of bass? 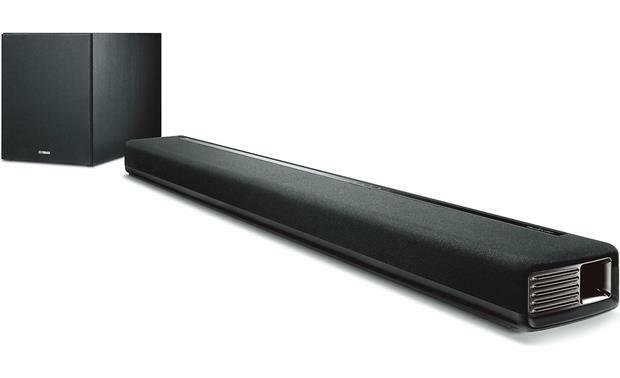 You can save money by choosing a sound bar without a separate subwoofer. 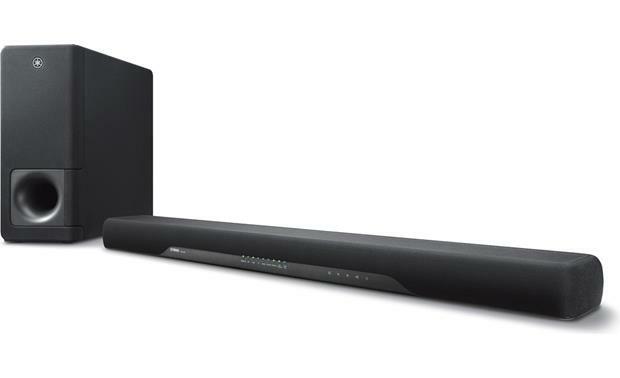 Sound bars with built-in Bluetooth® let you stream music easily from your mobile device. Some sound bars even have Wi-Fi® capability for quick access to online streaming services as well as your personal digital music library. 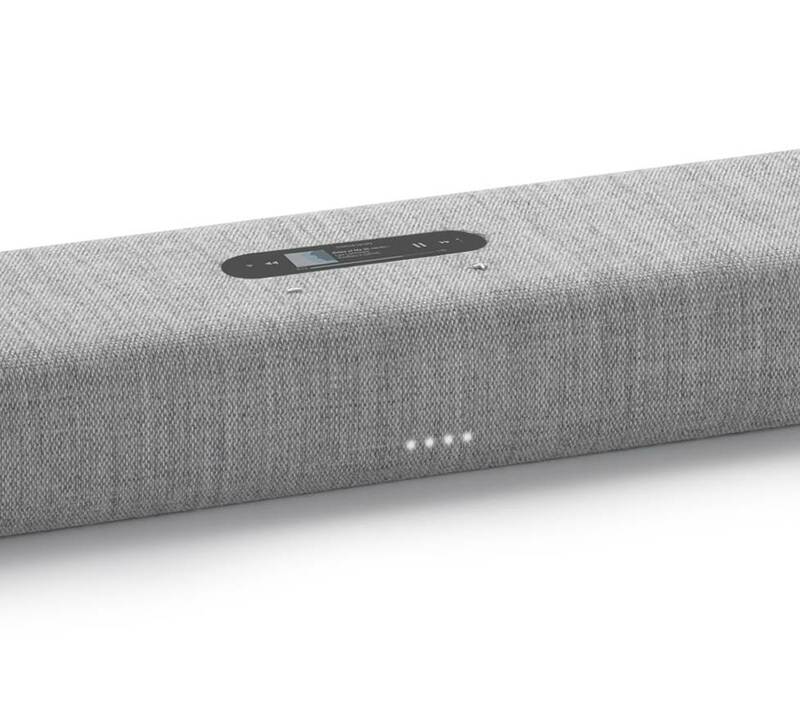 A sound bar might also have a USB input, so you can load up a thumb drive with your favorite tunes, leave it plugged in, and listen to them anytime. A few sound bars support high-res music files. 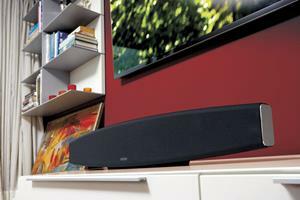 Your sound bar can also play a starring role in a multi-room audio system. 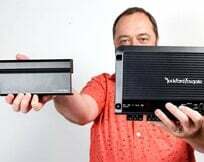 Many brands offer sound bars that can communicate with other music players, powered speakers, and receivers over a network connection, so you can stream wireless music throughout your home. Wireless multi-room audio systems let you create different zones and control what's playing in each room with an app on your phone or by using voice commands. What kinds of connections do you need? Most sound bars are completely self-contained, self-powered speaker systems. 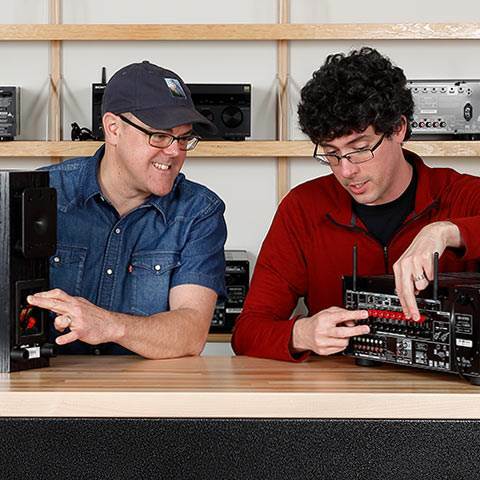 Many of them offer connections for different A/V components, along with several ways to play music — like having a receiver built right into the bar. Your sound bar can act as a hub for all your different sources if you choose a model with the right connections. This is particularly useful if you have an older TV, or if your TV is wall-mounted and you don’t want a lot of cables hanging down from it. 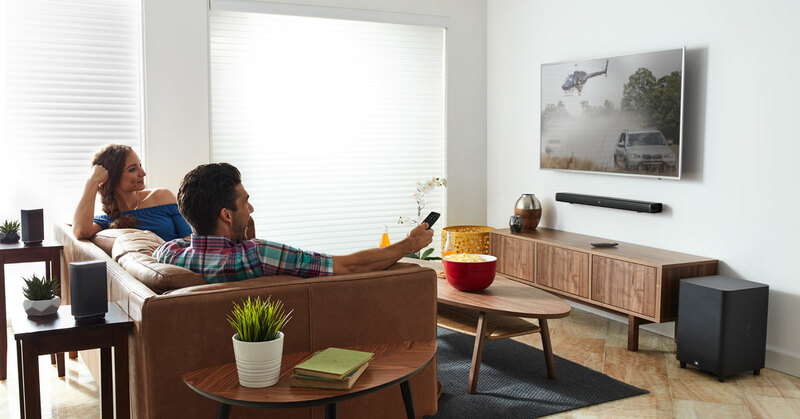 Nearly every sound bar has an optical digital connection, and many offer 4K-compatible HDMI connections for more flexibility. If you have a multi-channel sound bar, using the HDMI connection ensures the best sound quality from Blu-ray soundtracks. See our sound bar connection and setup guide to determine which type of connection is best for you. 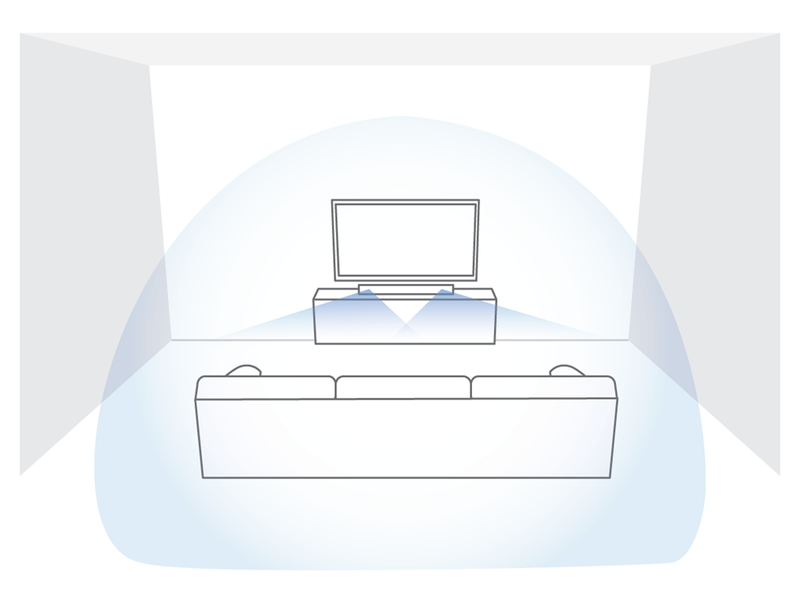 Passive sound bars get their power from a separate home theater receiver. They connect to the receiver’s front left, front right, and center channels via speaker wire. Aside from speaker terminals, you won’t find any connections on a passive sound bar. 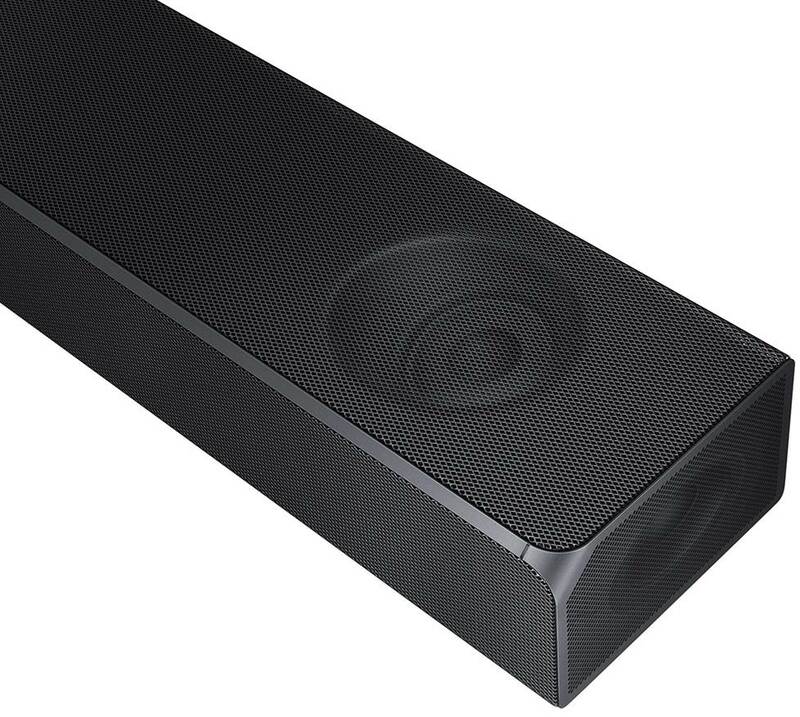 It’s more like a three-in-one home theater speaker than it is like a typical sound bar. 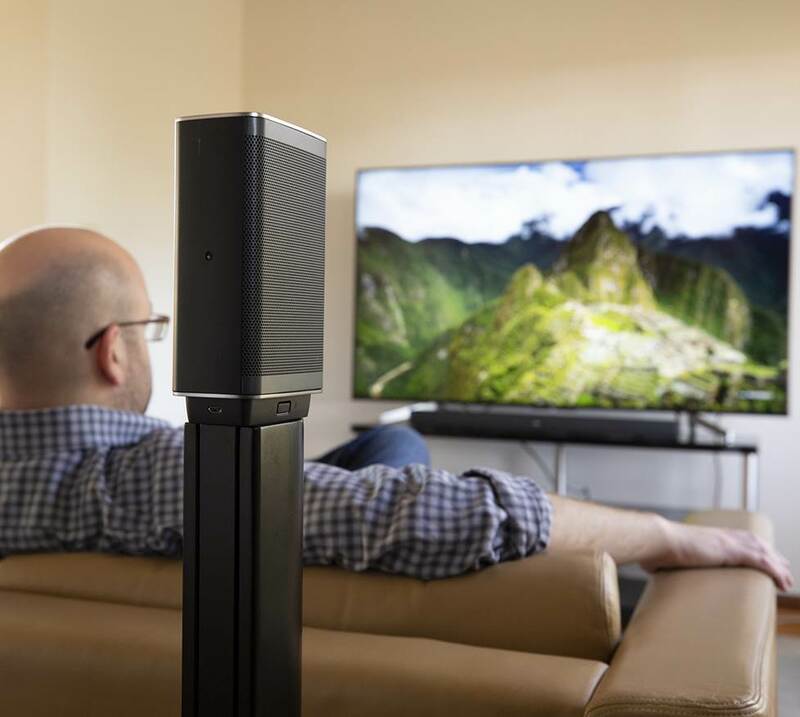 This type of setup elevates your sound bar experience and lets you take advantage of the processing power of a home theater receiver without filling your room with speakers and wires. It also makes it easy to build on your system by adding surround speakers. 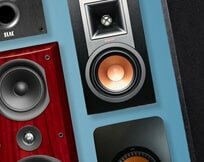 Depending on your receiver, you may have the option to add wired and/or wireless surround speakers. 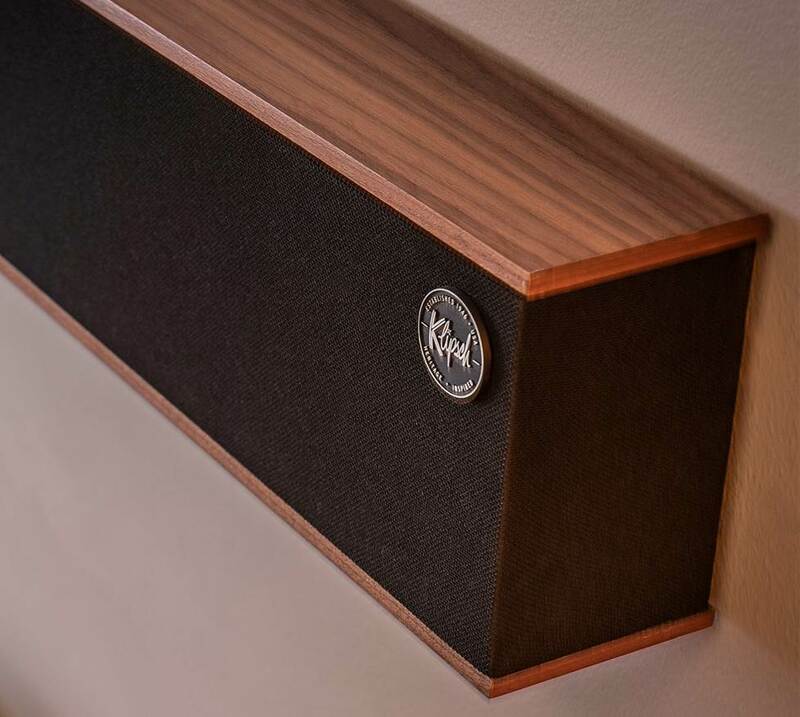 Klipsch's Heritage Theater passive bar is an attractive statement piece that combines three home theater speakers into one for a realistic front soundstage. Alexa, turn up the volume! Many sound bars have an option for voice control. Some are compatible with Alexa or Google Home — meaning you’ll need an Echo or Google device to use the voice control features. While others have that functionality built right in. Harman Kardon's Citation Bar has built-in Google Assistant with multi-color LEDs to indicate when the microphones are listening. Voice control a little too sci-fi for you? Most sound bars let you use your TV remote to make basic adjustments. And if your phone isn’t ever more than an arm’s length away, opt for a bar with app control. 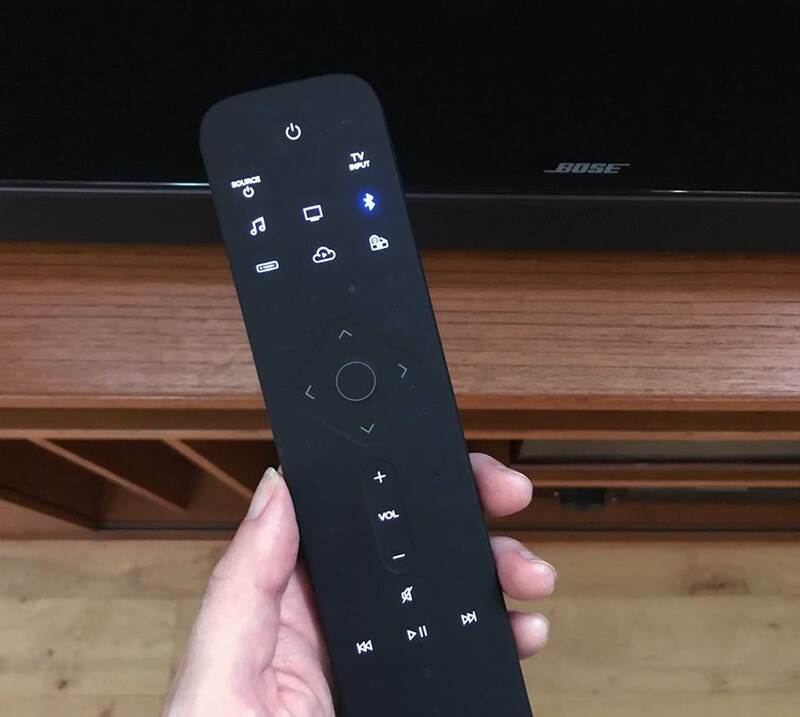 I loved trying out Bose's Soundbar 700, and a big reason why was the cool contextual remote — it illuminates only the buttons you need for what you're doing. Call, chat, or email us today — our advisors would love to help you find the bar that suits your style and budget. I don't know of any powered sound bars that will allow you to use your existing wired surround speakers. However, if you already have wired rear surrounds, it seems like you probably have a receiver, too? If so, look into a passive sound bar. They hook up to a receiver with speaker wire, just like your current surround speakers do. And if you're still not sure what will work with your current components, our Advisors would be happy to help you find what you need. If using the HDMI arc option from TV to soundbar, does the sound quality of the TV itself matter to the soundbar output, or is it solely based on quality of the soundbar? Thanks so much for any help. Hi Nathan! Some TVs will downgrade the audio signal to the sound bar. I don't think it's that common, but it's worth investigating if you are concerned (especially if you are planning to use surround speakers in your system). Check with your TV manufacturer to confirm which audio formats are passed through the ARC connection. If you have more questions or want to find a sound bar that's a good fit for your TV, feel free to call or chat with one of our advisors. I am looking for a sound bar that can be wired connected to a TV and wirelessly connected to a stereo receiver. Both connections would not need to be active at the same time. Is this possible and what features would I need to look for on the sound bar? Great question Mike! The wireless subwoofer is actually receiving the signal FROM the sound bar while your paired Bluetooth device is sending audio TO the sound bar. So, in short, the sub doesn't count as your paired device. I hope that helps! 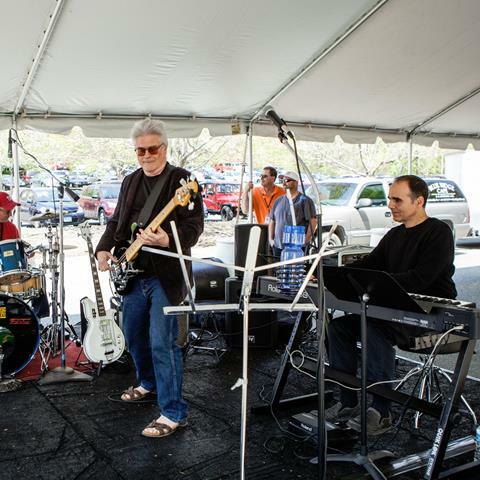 But if you need more information about a specific sound bar's capabilities, please call one of our very knowledgeable advisors at 1.800.555.7088. If the subwoofer is wireless in a Bluetooth sound bar system....How is the subwoofer getting a signal if Bluetooth only pairs to one device???? soundbars are more prominent in sound quality since most of them are part of home theater systems. Before you bought one consider also the measurements of your space. They're inexpensive and good quality for audio. Shamir did you ever recieve an answer to your question? 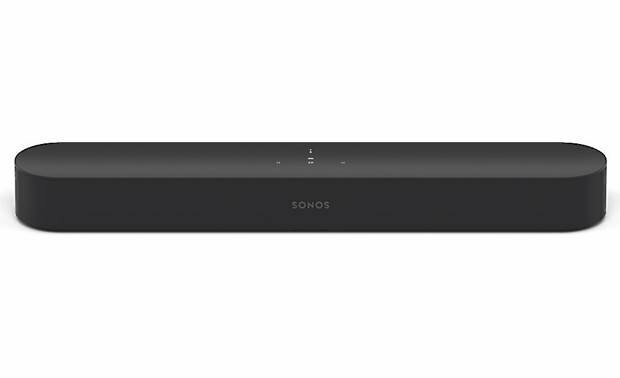 I am looking for a soundbar with a wireless sub woofer but primarily will be listening to music. I see this note in your article which says "Look for a bar with high-grade speaker components and powerful amplification. Many sound bars offer wireless connectivity, and some even give you multi-room system capability". How do I identify that? I understand multi-room but can you expand on the others. Can you a recommend a few models within the 600$ range that ticks these boxes - HDMI in, Bluetooth, Wireless Sub Woofer, great for music. Will be nice to have WiFi and multi room capabilities. Hi, I have a bit of a dilemma as I'm currently shopping for a soundbar which can be connected to my projector. The only issue is that the projector is mounted to a ceiling mount! The only location I can place the soundbar is on the ceiling as well. I've read that soundbars have Accelerometers built in and only way my placement can work is if I use analog rca cables and I'd have to reverse the left & right males on the projector's outputs that is sending the sound to the soundbar. Are HDMI out of the question? Any suggestions or guidance would be greatly appreciated! Is there any rule of thumb for length of soundbar to size of tv, or is it more about the room add the aesthetics of the installation? Hi Lori. The smartphone remote feature is just an added convenience. Most sound bars come with their own remote control, and you can often control them with your TV remote too. If you're not sure, just check under "What's in the box". Have an XPS 8500 64 bit, Windows 7; an thinking of getting a newer monitor and a soundbar or speakers; to view videos & movies mostly also to listen to occasional classical music. A Samsung description of a soundbar said it was controlled via a phone, don't have smartphone, nor want to buy 1 for this limited purpose. 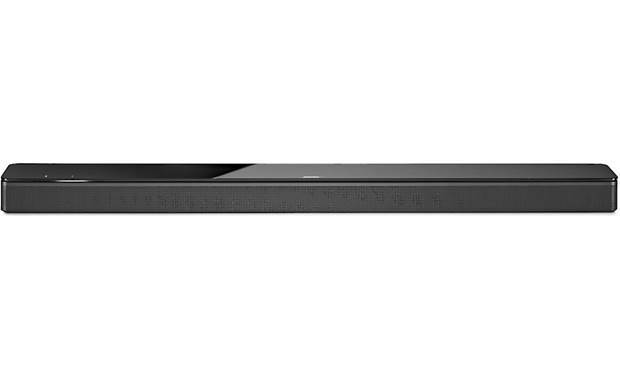 Are other sound bars available that are reasonably priced & use a remote control? 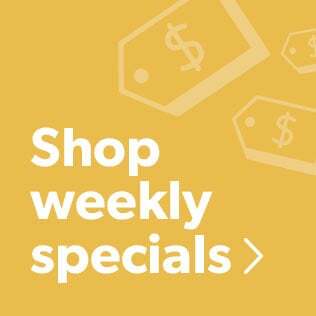 what else would I likely need to check out & buy? Phil, when you say voice is hardly audible, what do you mean exactly? Is it muffled? Or is it being drowned out by sound effects and music? 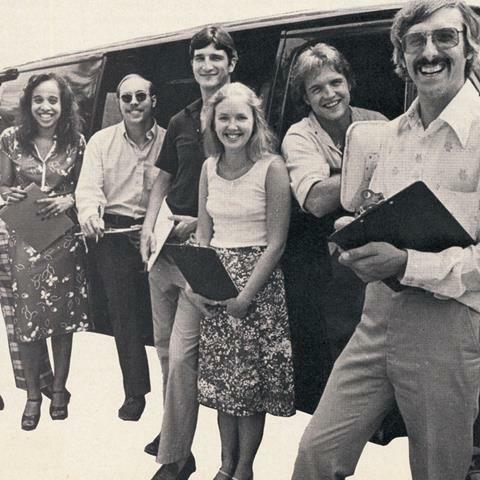 If dialog is being excessively drowned out, It could be your configuration. Try adjusting sound modes (EQ, etc. if applicable). Is it getting a feed from your TV? If so, go into the audio settings on your TV make sure any special enhancements are DISABLED. 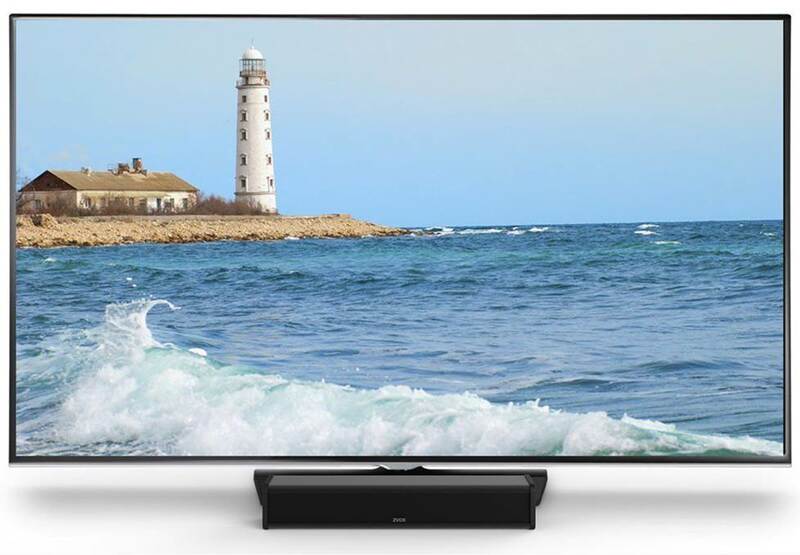 Some TVs have fake surround modes that try to enhance stereo separation and give the impression of a wider soundstage in order to attempt to simulate surround sound from two speakers that are very close together. Sometimes, this can cause the center mix (dialog, on screen sound effects, etc) to sound quieter than the rest of the mix. If your TV has this, make sure it is turned off if it is feeding your sound bar. 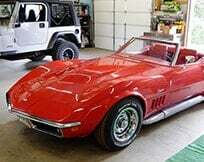 More than a year ago, I purchased a moderately expensive (ca. $400) JBL soundbar system with subwoofer for my TV after consulting with a Crutchfield representative. 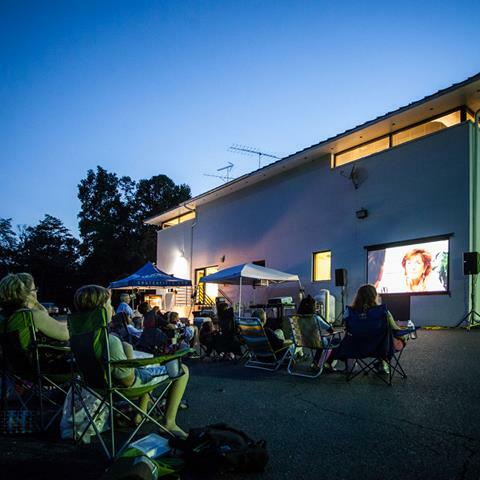 I mentioned that much of what I planned on watching was not movies but concert DVDs (or even CDs played on the DVD player with the video off) of classical music so I was not looking for booming movie theater sound but something resembling a concert hall acoustic. The item that we settled on has turned out to be a total disappointment. Anything louder than solo piano or small chamber groups sounds just awful. Worse that the cheap boombox that I keep in my kitchen. Too much trouble to return it or I definitely would have. Just a caution to anyone who might have similar needs and be considering using a soundbar as part of an audio system and has a decent set of ears. I would recommend sticking with good old-fashioned speakers for a life-like listening experience. Scott, sound bars are pretty adaptable to your setup, so mounting above the TV should be fine. I would suggest aiming the drivers to your listening position the best you can. Michael, I've sent your comment to one of our Advisors to find some sound bars that will work well in that room. You'll hear from them soon. Question: My room has a 24 foot ceiling and the acoustics are awful. What characteristics should I look for in a sound bar to compensate for this? Is there any disadvantage to placing the soundbar on the wall above the television as opposed to below it? Hi Jennifer. 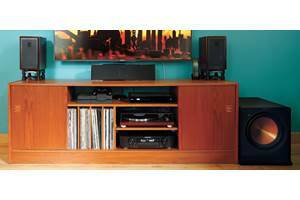 It isn't necessary to place the subwoofer near the TV or sound bar. One of the great things about wireless subwoofers is they can be placed nearly anywhere in the room. Can the subwoofer be placed anywhere in the room or is it recommended to be near the sound bar/tv?